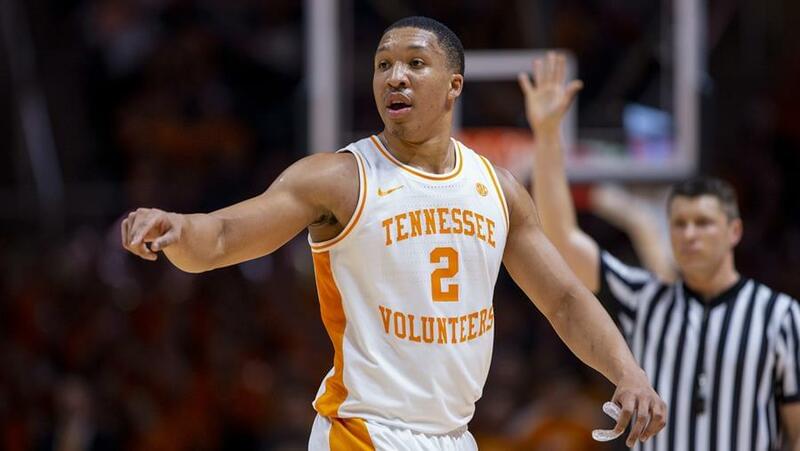 GAINESVILLE, Fla. — A drive by Grant Williams followed by a dish to Admiral Schofield for a 3-pointer in the corner was the final blow that gave No. 3 Tennessee a hard-fought road win at Florida. The Vols defeated the Gators, 78-67, in Exactech Arena. After being a close game throughout, the Vols (14-1, 3-0 SEC) ended the last 44 seconds of the game on a 9-0 run to clinch the 11-point victory. 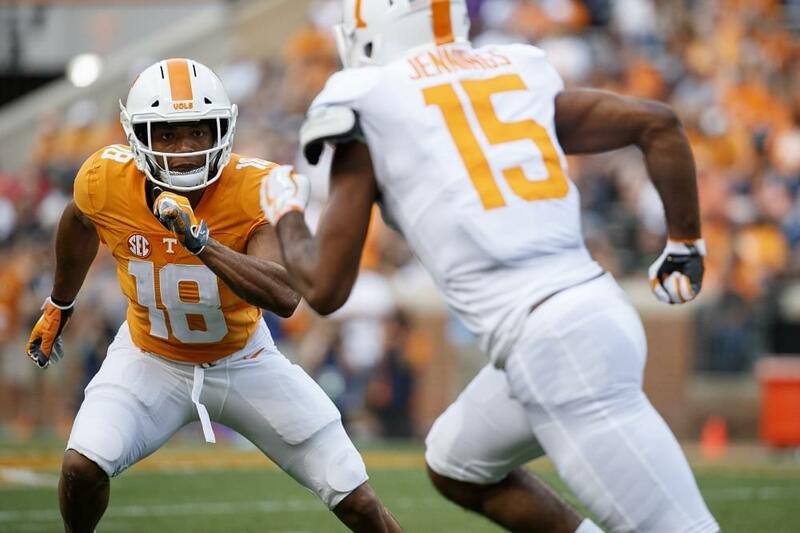 Late in the game, Tennessee was able to thwart the Gators’ offense. Florida (9-6, 1-2 SEC) was held without a field goal over the last 3:35 of the game and scored just four points in the final six minutes of play. The Vols’ 78 points in the game are the second-most Florida has allowed this season and the most since allowing 81 points in its season-opening loss to Florida State. Williams finished with a game-high 20 points while also leading Tennessee with nine rebounds. The Big Orange jumped out to an early 17-11 lead behind a three 3-pointers at the 14:20 mark. UT ended up knocking down six treys in the opening half and shot 48 percent (14-of-29) from the floor. However, it was the Gators who had the hot hand from deep, hitting nine 3-pointers to take a 38-35 lead into halftime. Of its 29 shots in the period, 22 of Florida’s attempts came from behind the arc. After trailing by as much as seven points in the first half. Lamonte Turner’s 3-pointer with 38 seconds left in the half cut the deficit to just three points to give Tennessee some momentum heading into the halftime break. Williams posted a solid half with nine points, four rebounds and three assists, while Turner chipped in eight points behind two threes in the final 2:33 to make it a one-possession game at the break. Doing it All: Grant Williams filled out the box score Saturday night. The junior finished with a team-high 20 points and nine rebounds to go along with four assists, two blocks and two steals. It marked the fourth time this season Williams shot 70 percent or better from the field and is the third time in the last four games. Cracking the Code: Florida came into tonight’s game as the No. 6 scoring defense in the country and the best in the SEC. Tennessee finished the game with 78 points, which was 18 points higher than the Gators’ season average of 60.0 points allowed per game. It was the second most points Florida has given up this season and the most since their season-opening loss to Florida State (81 points). Second Half Run: Tennessee held Florida without a field goal for more than six minutes after a KeVaughn Allen 3-pointer to start the second half. During that stretch, the Vols went on a 15-5 run to take a 50-46 lead at the 14:04 mark of the second half. The run included six points from Grant Williams including a dunk, a layup and two free throws. Jordan Bow-WOW-den: After having three points at half, Bowden exploded in the second half, scoring 12 straight points for Tennessee over a two-minute stretch from the 7:27 to 5:36 mark. The run ended when Bowden assisted on a post feed to John Fulkerson to make it 67-63 in favor of the Vols with 5:01 to play. Bowden finished the game with 17 points. Up Next: Tennessee returns home for a game against the Arkansas Razorbacks on Tuesday night. The game will tip at 7 p.m. ET and will be televised on ESPN2. There are still tickets remaining for the game that can be purchased on AllVols.com.